Strategic e-Business Solutions, Inc. (SeBS) was founded and incorporated in 2000 with the vision of providing consulting services that focuses upon enhancing the way Government does business through the improvement of process, technology and people. In 2004 we expanded our services and goals to focus on business transformation and assisting business in optimizing current operational processes to improve both customers experience and operational effectiveness across all processes. Over the last few years we have been awarded IDIQ’s as a subcontractor across all of the DoD services and in 2007 was awarded a Prime contract with the Navy under Seaport-e.
SeBS, Inc. is a minority, veteran owned and operated Small Business. We deliver innovative solutions to business challenges that impede performance. We uniquely provide a blend of proven strategic business consulting services to help our customers/partners integrate their processes and implement technologies and best business practices to improve the delivery of products and services to their customers. Our teaming strategy begins with you and your customer in mind. As solutions experts with deep Government experience, Top Secret Clearances, and extensive domain knowledge, we know first hand the organizational challenges encountered as you adapt to cultural changes and customer requirements. Over twenty years of IT, Customer Service, Business Transformation, and Business Expertise in government and commercial industry segments, enables us to develop and execute strategies effectively on a day-to-day basis, achieving business results rapidly. We support full implementation and ongoing management of transformation solution implementations while developing effective strategies for future success. In July 2004, Howard decided to strategically transform SeBS into a forward-leaning, niche consulting company, delivering state-of-the-art best practice solutions and positioning us to become a formidable competitor in the Federal government sector. He is an internationally known leader in Strategic Business Transformation with experience assessing enterprise performance for more than 27 years with the US Navy, the Federal government, and IBM Federal Government consulting. He has successfully directed numerous consulting engagements throughout the Federal government, specializing in strategy, implementation, and assessment for business transformation adapting best practices and methodologies. Howard is a proven thought leader with in-depth experienced in all phases of the Federal IT Capital Planning and Federal Enterprise Architecture Frameworks. He served on the staff office of a Federal CIO Council and successfully directed management system improvement initiatives to develop strategic and operational performance models. His expertise includes the development of Corporate Balance Scorecards, Federal clients e-Business Strategy, BPR, Organization Design, IT Assessment, and Knowledge and Content Management. He has led international consulting engagements to assist customers with ISO 9001:2000 certification, and developed performance metrics across various industries. Howard possesses unsurpassed skills at applying the Balanced Scorecard principles and methodology on major business and IT improvement projects in the Federal government. Howard was the recipient of an IBM President’s Award for Outstanding Leadership and Business Contributions to the Strategy and Change. He received multiple Navy Commendation Medals and retired his military career in 2016 as a Senior Naval Officer. Howard has served on the Air Systems Program Flag Advisory Panel and was a key speaker at the Naval Aviation Industrial Executive Board, delivering best practices lecture on integrating global business systems in Japan, Italy and the U.S. He has led the development of e-Leadership Seminar series to encourage mind-share between the government and private sector. 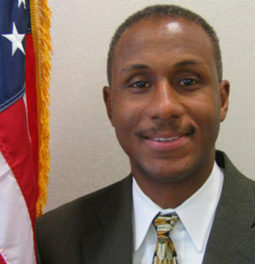 Howard holds an MPA in Information Systems Management from Columbia University, a B.S. in Business Administration from State University of New York and attended Harvard University, JFK School of Government, Senior Executive Leadership Institute. 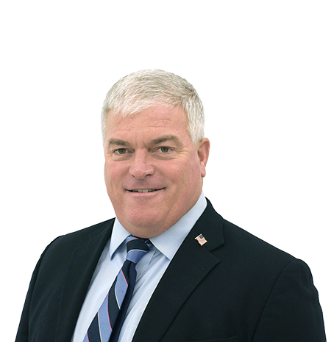 Frank Ramsdell has over 28 years of experience implementing engineering and integrated product development processes, program management, performance measurement, financial management, DoD Acquisition product support planning and Total Life Cycle Sustainment Management. Frank is a certified Program Management Professional (PMP) and holds a Master’s Degree in Business Administration- Industrial Engineering and Operations. Frank holds additional certifications in Lean Six Sigma and Configuration Management. He has led major programs at Raytheon as well as L3 Communications across USSOCOM and other DoD organizations. As a SeBS’ Operations Manager, Frank plays an integral role in managing both products and personnel. Among his many responsibilities, Frank is responsible for planning and controlling change, implementing our quality assurance programs, setting goals and objectives, assisting with establishing various policies, researching emerging technologies, and determining alternative methods of efficiency. He brings a broad knowledge base, including great communication and interpersonal skills, to support proposal development and program execution efforts for projects, logistics, EVMS, engineering, and risk management. Frank plays a pivotal role to integrate the organization, and to ensure the services that SeBS provides meets the expectations and needs of customers. Marliana Brodie has more than 10 years of experience serving in multiple support roles in private and public sector organizations. Utilizing innovative techniques, extensive knowledge and an array of organizational skills, she has helped the organization to successfully transition, adapt to changing requirements, and integrate into multiple sectors. Marliana is a plethora of knowledge, which she harnesses in support of her many responsibilities. She is (has) adept at planning, designing, and implementing human capital programs and initiatives, including administering corporate policies, ensuring human resources strategy alignment with organizational business goals, and continually evaluating processes and strategies comply and implement improvements initiative. Marliana leads our recruitment efforts and believes that recruiting and retaining top talent for SeBS are essential to ensure that corporate and customer milestones and goals are achieved. She enhances SeBS’ work culture by building a better connection both internally and externally. In her capacity as Assistant FSO, she strives to protect both the organization and the employees, by working with various sectors to ensure that SeBS adheres to regulatory policies, that cleared staff are aware of their responsibilities, and that we comply with all government requirements. Marliana supports development projects and strives to find creative and unprecedented ways to enhance organizational functions. Sesame Euell leads SeBS’ Logistics Management Practice, supporting our Department of Defense portfolio. She has over 23 years of DoD, Logistics, and Transportation Management experience. 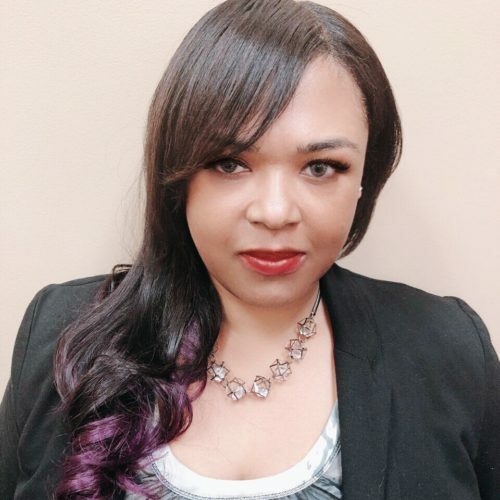 She possesses vast experience supporting various DOD program executive offices, including Program Management Biometrics as a Senior Life-cycle Logistics Manager and PEO-EIS PM DCATS as Logistics Lead. She was instrumental in supporting the Biometrics Automated Tool Kit-Army (BAT-A), delivering logistics, acquisition, requirements development, and operations research/systems analysis. 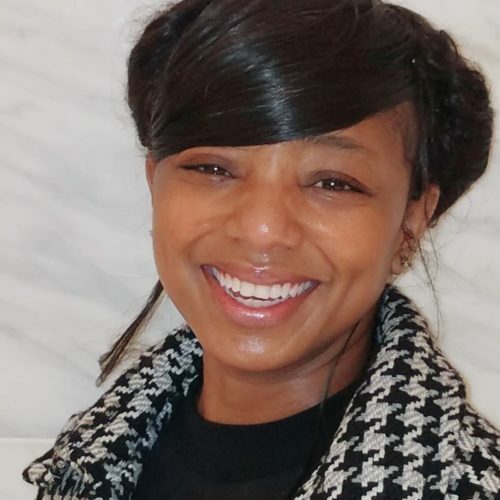 As a seasoned logistician and manager, Sesame is a valued member of our team and brings to SeBS, extensive experience in Federal Government logistics capability and sustainability, asset management, audit readiness, and financial management processes, providing direct support to multiple agencies. Sesame holds a professional certification as a Senior Life-cycle Logistician. Her meticulous attention to detail, Subject Matter Expertise, and unmatched professionalism have soared her into leadership. Sesame’s unique skills as a business developer is a direct correlation between her proven experience in client relationship management, client service delivery, team leadership, policy development, and life-cycle program and project management. Sesame retired from the United States Army, dedicating and committing 23 years of exemplary service to our nation. She holds an M.B.A. in Transportation and Logistics from the American Public University, a B.S. in Business Administration, and an Associates degree in Management from the University of Maryland, University College. We are incorporated and operate as a small business in the State of Maryland with administrative offices located in Bethesda. We are prepared and equipped to respond to any situation with a single expert or a team of qualified and well-trained consultants to cope with any issue, large or small. Strategic e-Business Solutions, Inc. has a philosophy of providing the highest quality, most reliable, and most customer friendly service in the industry. Over the years we have watched organizations come and go, losing sight of their customers and having their business operations become less supportive of customer needs. We are professionally committed to help you succeed. We provide a team of thoroughly trained professionals that are personable with a sincere desire to help you meet your business customer service goals. We take the time to help you figure out what you need, how to implement it within your specific environment, answer your questions, and provide the level of support needed to ensure that the service is of value to your organization. Our customer-centric philosophy drives us to tailor our services in a way that addresses the goals of our clients and the customers they serve. Our commitment is to provide the best and most professional solution possible to help your business succeed. SeBS, Inc. is a small business with a specialized focus on the government sector. As a consultant with us you will be engaged with companies in all sorts of industries and government agencies. No two are alike but they all face real word challenges such as managing customer service delivery and improving customer satisfaction and related processes in a call center setting. If you have significant expertise related to our core services and are an energetic, analytical and results driven individual we would like to hear from you. As the business grows more talented and enthusiastic people are needed. Top Secret Clearances are a plus in the work we do for our clients. If you’d like an at-a-glance summary of SeBS, Inc. click here to download our Corporate Backgrounder.